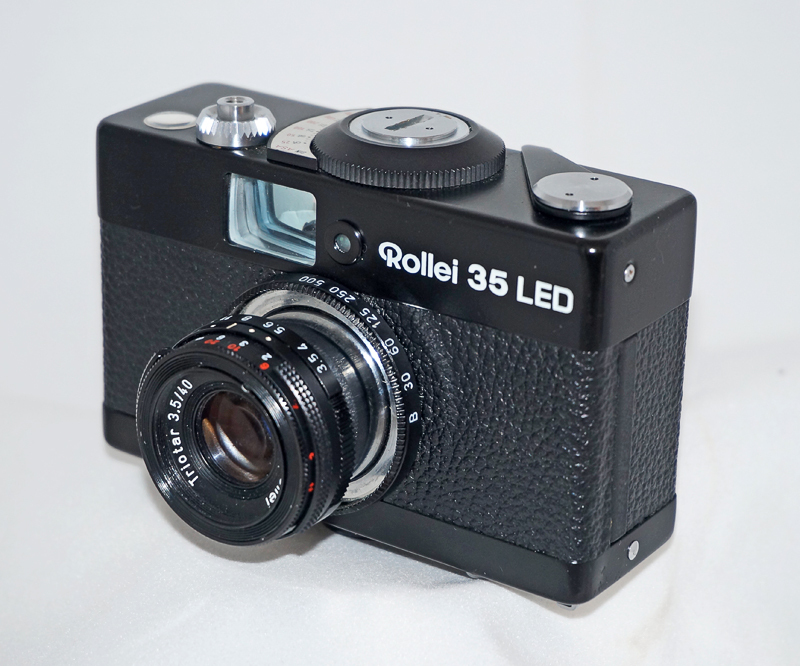 Rollei was established in 1920 by Paul Franke and Reinhold Heidecke. For most of its life the company was famous for its TLR cameras. A miniature 35mm camera was introduced . The company went bust in 1981. Latterly many Cosina-made cameras carried the Rollei name. A very small camera by 35mm standards. 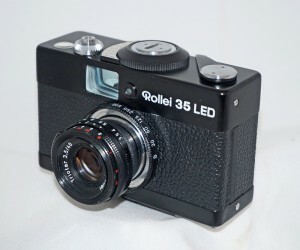 This model is probably the least favoured of the Rollei 35 models, and has the cheaper 3-element lens – although it is reputed to be an excellent performer. I’ve not had chance to put a film in this one yet – it uses an unavailable mercury battery for the meter.